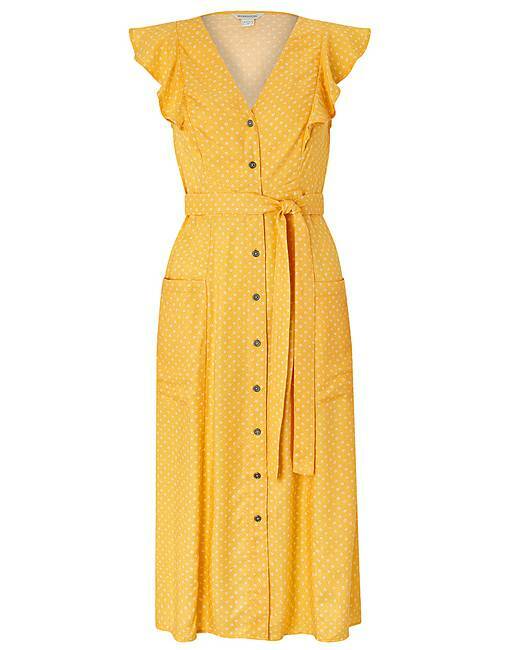 Infuse your new-season wardrobe with sunshine, courtesy our Araceli midi dress. 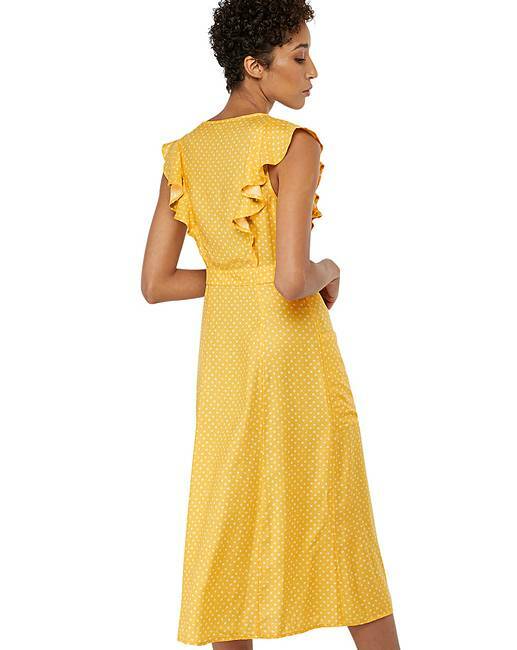 This yellow dress showcases and energising spot print and is designed with ruffle shoulders, a waist belt and large pockets. It fastens with buttons.